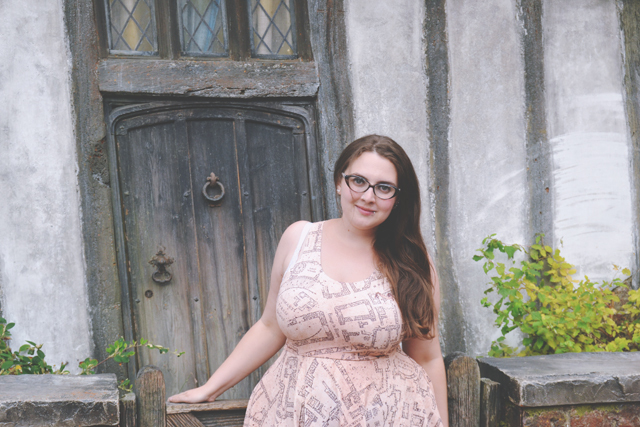 I don't usually enter blog competitions, but when two separate people told me to enter Florida4Less' Harry Potter competition, I knew I had to take part! Unfortunately the prize isn't a Florida holiday, but the winner does get four tickets to the Harry Potter Studio Tour and all I have to do is explain why I'm the biggest Harry Potter fan. For me, the idea of writing a post saying "I'm the biggest fan!" seems like too much oneupmanship and, anyway, if you search for Harry Potter on my blog you will find a huge amount of results. It's even in my about me on the left there! 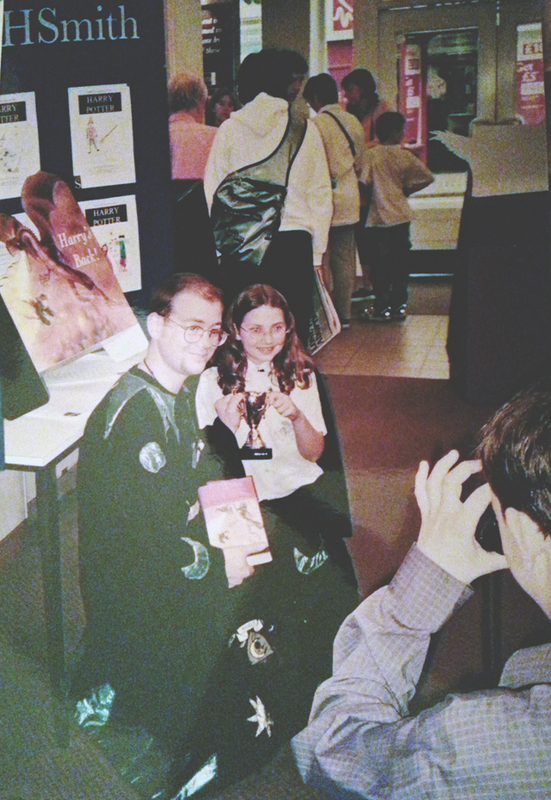 So, instead, I figured I would tell you a little story about my history with Harry Potter. Get yourselves comfortable: This is a long story! 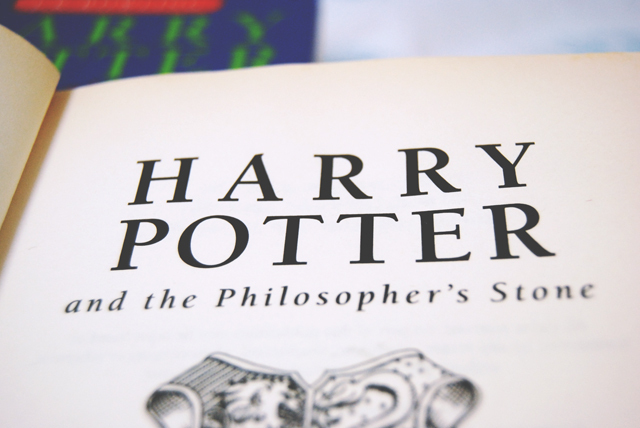 In 1999, when I was 10, my teacher started reading us Harry Potter and the Philosopher's Stone. My friends and I were captivated and spent all our break times talking about what we thought would happen next. To my dismay, the summer holidays came around and we still hadn't reached the end of the book, so my grandparents bought the complete set at the time, up to Prisoner of Azkaban. A year later, Goblet of Fire was released and I could not contain my excitement. It had been widely reported that a "much loved character will die", and my school friends spent hours hypothesising over who it may be. There were all sorts of promotional events, including a Harry Potter quiz in a local independent bookshop and a "design a cover" competition in WHSmith's. A week before the book was released, I was busy making a broomstick when my mum got a phone call to tell her that I had won the Smith's competition, and was invited to come to the store on release day, in costume, to have my photo taken for the newspaper. My prize was a little Quidditch Cup, which stored pens and the like in my bedroom until Myles reached his temper tantrum age and broke it. Later I also found out I'd won the Harry Potter quiz and received Chamber of Secrets audiobooks on CD. Myles ended up breaking those too. To say I was obsessed would be an understatement. 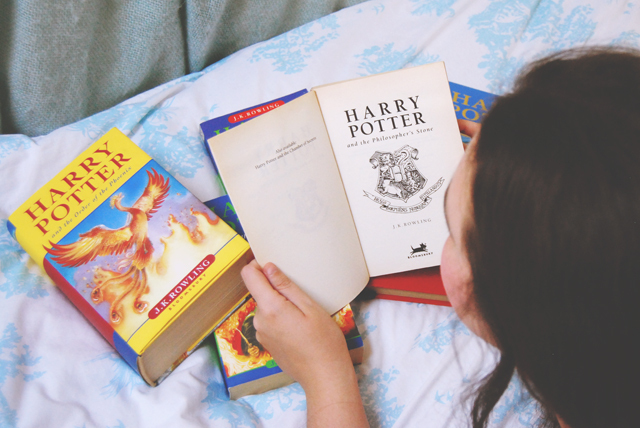 I would sign my diaries with the name Hermione and read nothing but the four books over and over and over again. 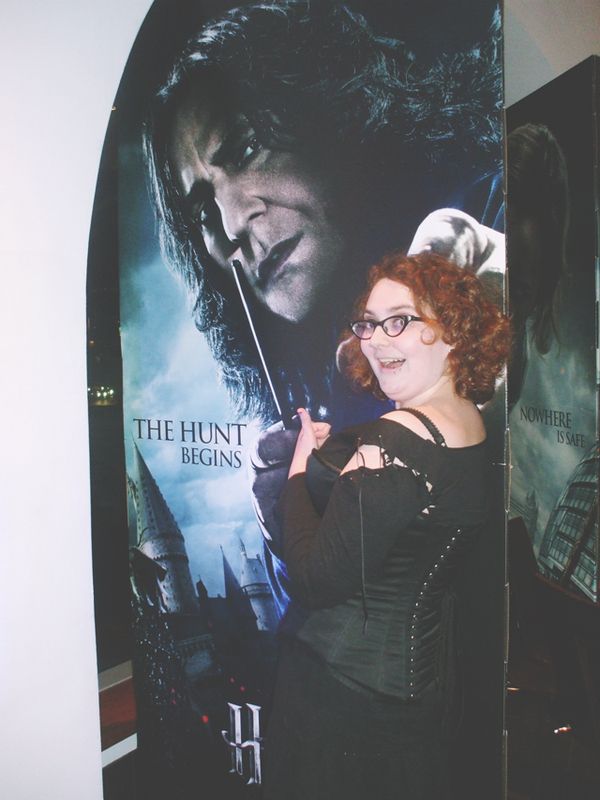 Embarrassingly, I used to boast that I knew more about Harry Potter than JK Rowling herself. Then came the news that they were going to be bringing out a film. Can you imagine my excitement? My Uncle Ian and Auntie Jacqueline took my brother Jamie and I to see it as soon as it was released and I was mesmerised. Hogwarts was just like I'd imagined! We bought the VHS and brainwashed a then-2 year old Myles to say "Potter!" every time an advert for it came on. When Chamber of Secrets was released, I saw it with a bunch of school friends (including Marie) and got way too overexcited when the diary flipped to June 13th, my birthday. Ian and Jacqueline also took us to see Prisoner of Azkaban and I delighted in the fact that Harry was wearing the same jacket as Jamie was wearing at the time. Time passed, I grew older and my friendship group grew out of Harry Potter. We were interested in music, gigs, festivals but still I read all of the books and watched all the films. Then, when I was at university, I met Laura. 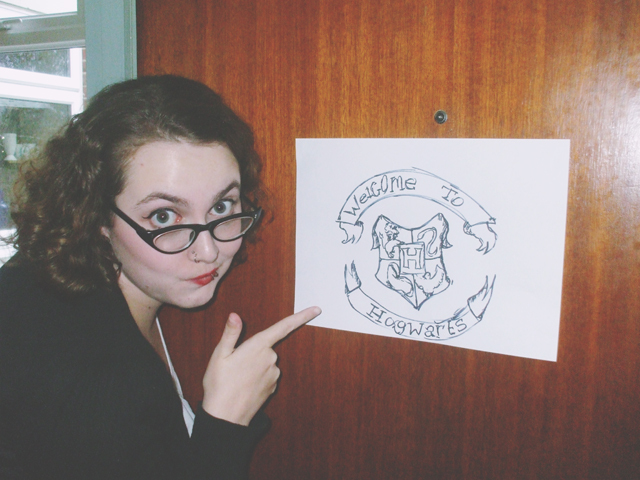 She was an unashamed Harry Potter fan and immediately unlocked my fandom. 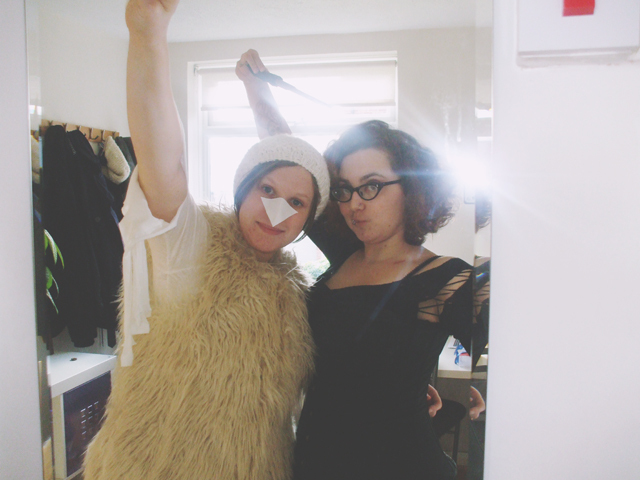 We dressed up to see Deathy Hallows pt I - me as Bellatrix, Laura as Hedwig- and took a full box of tissues with us. I discovered the Harry Potter fandom on Tumblr and, through that, stumbled upon A Very Potter Musical. 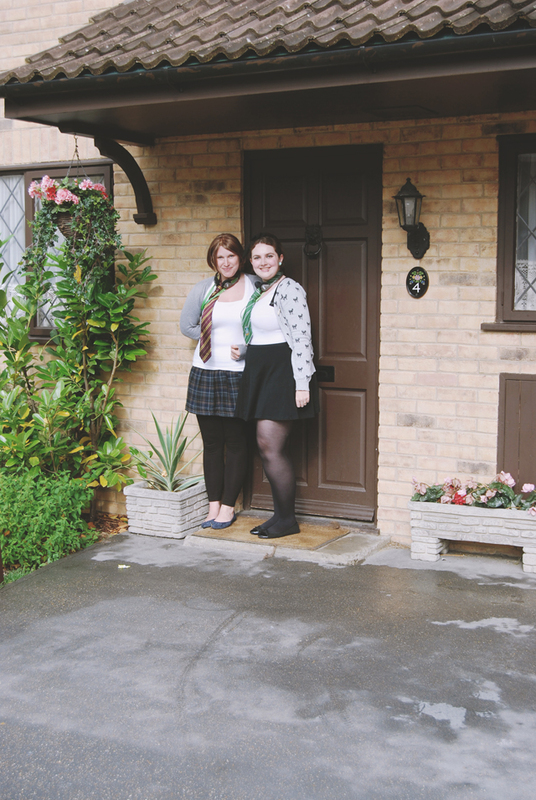 We became huge fans of Team Starkid and, when we found out that they were performing at the Harry Potter convention LeakyCon in Orlando- the location of Wizarding World of Harry Potter- in 2011, we booked our holiday on a whim. 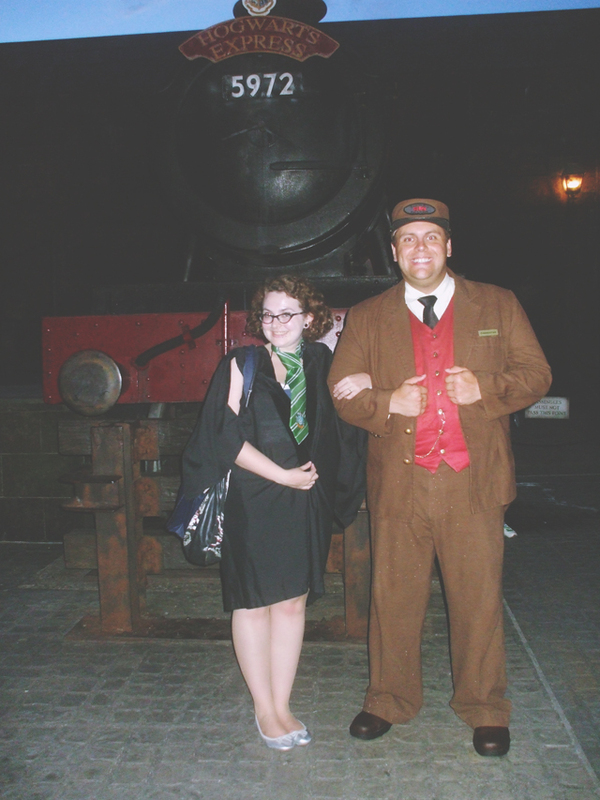 Visiting Wizarding World of Harry Potter- after closing hours, no less!- was the greatest time of my life. We wore robes and chilled out in the Three Broomsticks, drank Butterbeer and visited Hogwarts. We were also the first people to watch Deathly Hallows pt II, before the midnight release. Harry Potter was my childhood. It was my sanctuary as a child and Hogwarts was my safehouse. I'd made a truly wonderful friend through our mutual love of Harry Potter, and now I was watching the end. I started crying when the Warner Bros logo appeared and I didn't stop throughout the whole film. When Hogwarts began defending itself, I sobbed. When Snape said "You have your mother's eyes"- a line not in the books but so, so perfect- I literally wailed. The next day I woke up feeling like I was dying. It turned out that the hours of heaving sobs in an overly air conditioned environment had resulted in a chest infection. Arriving back in England was horrible. I felt like there was no more magic. Nothing more to look forward to. Until the Harry Potter Studio Tour opened in Watford. You better believe I made the most of that! Every year on 31st July, Harry's birthday, I visit the tour. 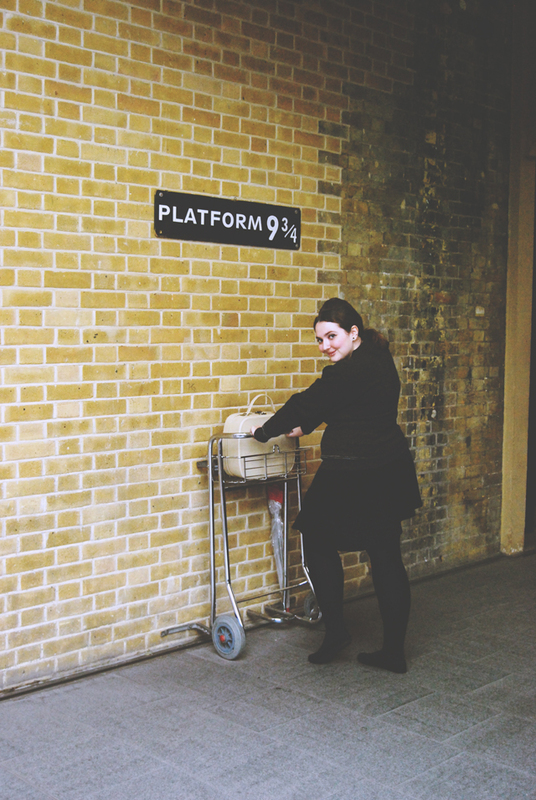 In 2012, I even achieved a long ambition of visiting King's Cross on September 1st. One day, I received an incredibly awkward email from Leona, telling me she'd started reading Harry Potter and was in love with it but had nobody else to discuss it with. My love was well-known in the blogging world, so she'd reached out to me. So began a beautiful friendship, as you are all aware! Then came the news: Universal announced they were expanding Wizarding World of Harry Potter to include Diagon Alley in 2014. Rich and I thought about it, wrote it off as ridiculous, asked Laura what she thought and finally made a decision: We were going to get married at Hogwarts. And that is what we did! 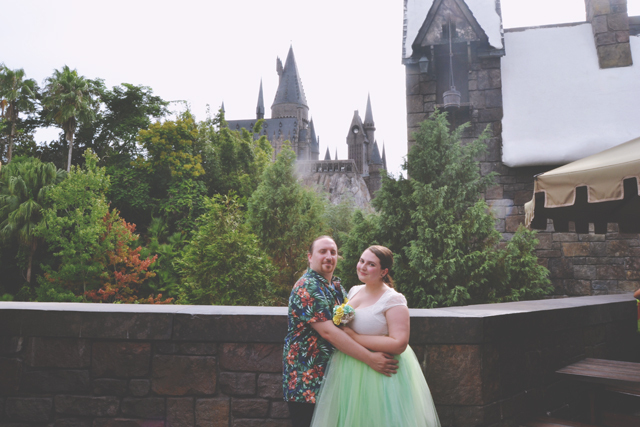 On 13th August 2014, I stood in front of the love of my life in the garden of the Three Broomsticks, overlooking Hogwarts, wearing a mint green tutu in honour of my Slytherin traits, carrying a floral bouquet made from pages of Harry Potter books and declared my love for him "always". LOL omg i can see the children already! It's going to be fabulous! Lovely post, it makes me think about my Potter story.. I'd love to read your Harry Potter story! Oh I really hope you win! You are obviously a huge fan and your story is so lovely! Fantastic post darling, fingers crossed tightly for you! Thank you so much, Jemma! Oh wow this is amazing. I knew you were a fan but reading this shows how much of a fan you are. It's like you've reached the nirvana of the HP fandom. I'm a fan myself but I've only watched the movies like a billion times but this post makes we want to go out and buy the books and dig in. And congrats on your marriage!!! The nirvana of the HP fandom haha! I love it! Have you not read the books? I really recommend them. They go into far more detail than the films so you get to understand everything more deeply. Good luck! I think you're probably the biggest Harry Potter fan I 'know', online or off! Thank you so much! I feel a strange sense of pride in that haha! You can join the Bedbug fandom! Aw, I love reading about people's love for Harry Potter. I miss the new books coming out and watching the new films. So, when are you having kids? ;) Hahah. If you don't win this it's a crime! After reading this post I immediately went to read your post on the wedding. Gosh I was in tears! It was so beautiful.